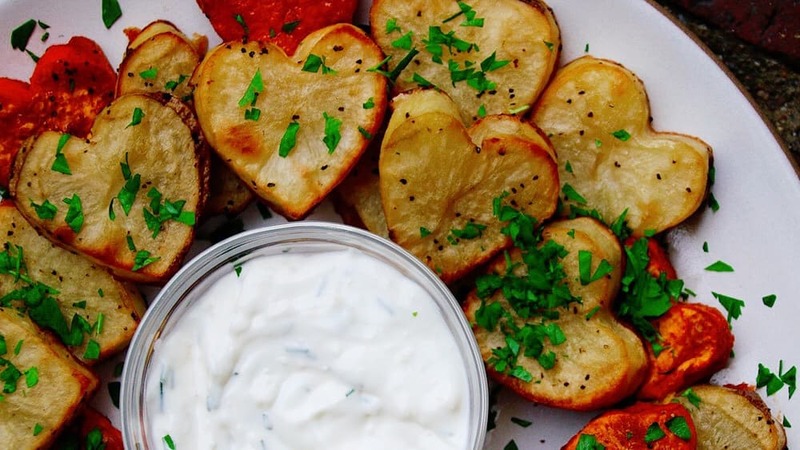 Bring a little extra love to Valentine’s Day dinner with Roasted Potato Hearts. 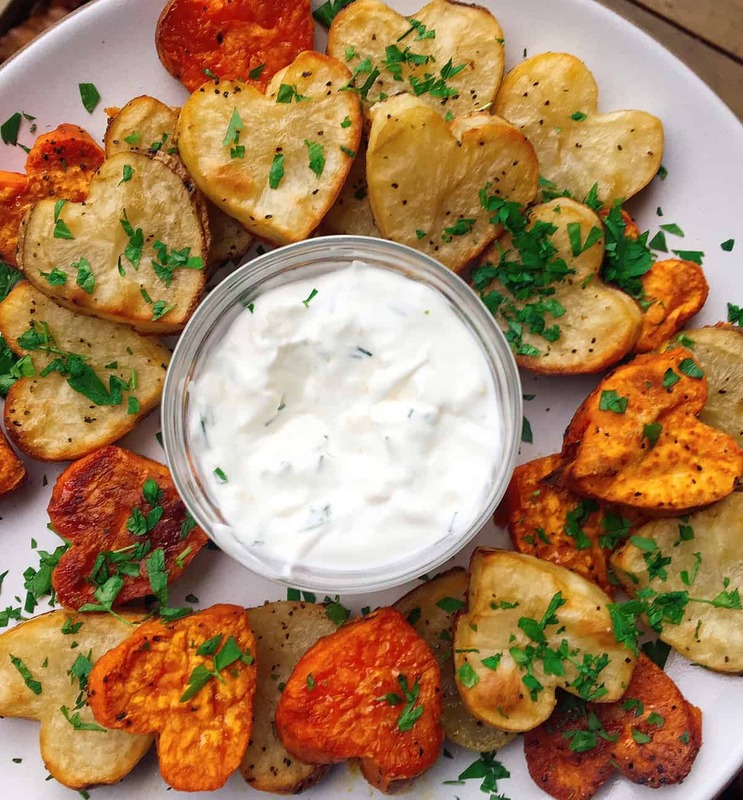 Roast up your potatoes and sweet potatoes in lovely little heart shapes, then serve with my favorite garlicky dipping sauce (that I put on everything – especially good with roasted veggies or salmon cakes). These were so fun to make, and even more fun to eat. 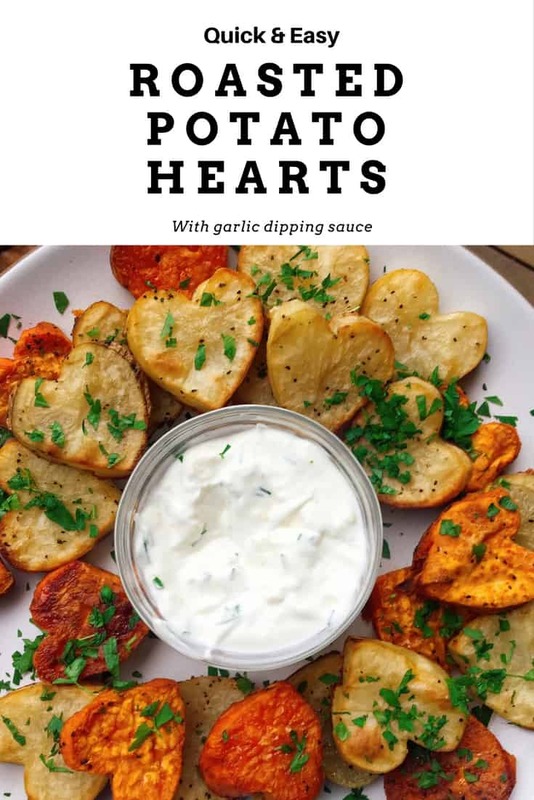 Get the recipe for Roasted Potato Hearts with Garlic Dipping Sauce. A fun recipe for roasted heart-shaped potatoes and sweet potatoes with garlic dipping sauce. Get ready to watch the kiddos gobble these up. Check out some other fun Valentine’s ideas and side dish recipes before you go! wow! its looking so delicious and yummy. this has made me so hungry. i also want to eat it. What a great idea with valentines day coming up! We love cooking together on holidays like this instead of trying to beat the crowds out in town. This is a must try for sure! Please share my new blog themindfulmommysite.wordpress.com I am new to the blogging community but with a 3 month old and another on the way I find I have more to write about these days! Thanks and have a blissfully mindful day! I cant wait to try this recipe now that its getting colder and I’ll be using my oven again.